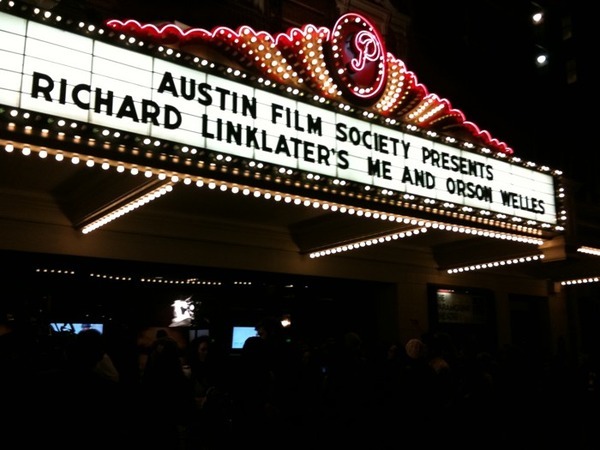 Zac Efron is in Austin, Texas tonight along with director Rick Linklater, and costar Christian McKay for a screening of their new Movie Me and Orson Welles. 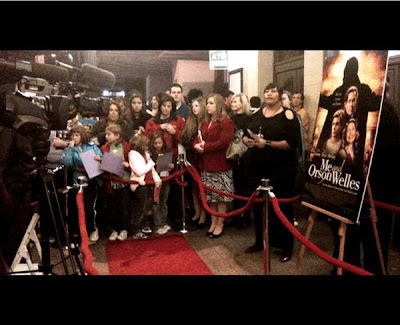 The screening was held at the beautiful Paramount Theatre complete with red carpet, media coverage, and of course a sidewalk swarming with Zefron fans of all ages. Above: Fans eagerly await Zac Efron's red carpet arrival. Photo courtesy of Gordonandthewhale.com. I wonder if Zefron is going to hit up 6th street after? That would be pure craziness. Can't you see hundreds of drunk girls jumping out of the open club windows, taking off their heels they can barley walk in, and running after Zac? I am sure he would hit up the classier warehouse district for some after party action. If I ran into him at a club in ATX I would have no choice but to have a dance off with him as the DJ plays "We're All In This Together." That would be epic! 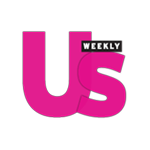 Please feel free to report all Zefron sightings in the comments section! I love OJB. Keep it up.